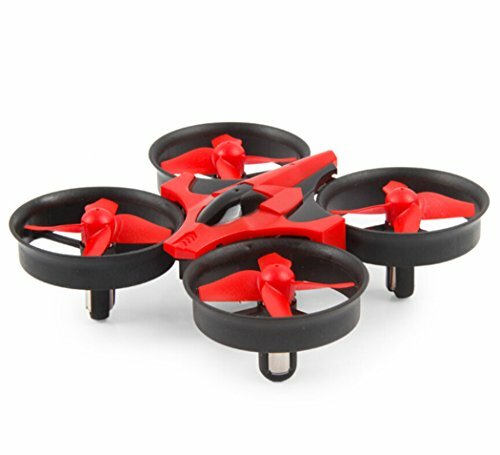 Fun to Play: the mini rc drone can 3D flip and the colorful LED lights make your flying full of fun. One Key Return: When starting the function of one key returning without other operations, the uva drone will automatically come back to you. Headless Security System: enable any level of players to fly the drone easily. And protective frame can make your drone more durable. Stable Flight: 2.4GHz technology and 6-axis stabilization system for anti-interference and smooth flight. Flying time: 5-8 mins; Charging time: 30-50 mins; Effective Operating Range: about 100 ft. 30 days Money Back, 12-month Warranty and 24 hours friendly Coustomer Service!